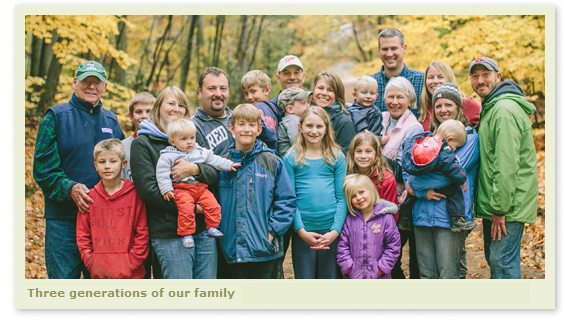 For over 130 years, our family has been working the land on our 180-acre farm in Enfield, Connecticut. Now in its fifth generation, Collins Powder Hill Farm continues to benefit from the fertile soils and hard work that have sustained agriculture in the Connecticut River Valley for centuries. Today we are primarily a dairy and composting business, milking approximately 75 Holstein and Jersey cows. We produce corn and hay to support our operation, and our cows are pastured from late spring through the fall. Every cow at our farm has a name, as well as her own unique personality! Every summer, we show some of our Registered Holsteins and Jerseys on a local, state, regional, and occasionally, a national level. Not only has showing been an important marketing tool for our herd for over 50 years, it also allows us to engage with local families to highlight some of the challenges and rewards of today's farming through the care and preparation of individual animals. 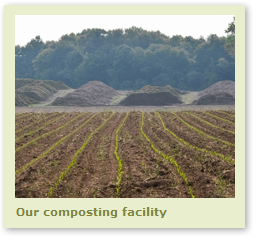 Collins Compost began in 1992 as a way to diversify our operation. While our compost relies on leaves collected off-site, the compost side of the business is otherwise very dependent on the dairy side of the business. Family members and other employees have first-hand knowledge of composting principles and practices, and the other major ingredient to our compost - cow manure - comes directly from our farm. Every spring, in addition to preparing our compost for sale, we use it as a soil amendment on our own crop fields. For over 40 years, people from all backgrounds have come to our farm to participate in the Merry Moo-ers, a Hartford County 4-H dairy club. In 1997 we opened the Collins Creamery as a way to bring people to the farm while improving the viability of the dairy business. In 1992, we sold the farm's development rights to the state. This ensures that the land will always be available for agriculture despite growing development pressures throughout Connecticut. In partnership with the Collins Creamery, we continue to offer farm tours to schools and other groups of all ages and backgrounds.